ReactorKit is a framework for a reactive and unidirectional Swift application architecture. This repository introduces the basic concept of ReactorKit and describes how to build an application using ReactorKit. You may want to see the Examples section first if you'd like to see the actual code. Visit the API Reference for code-level documentation. For an overview of ReactorKit's features and the reasoning behind its creation, you may also check the slides from this introductory presentation over at SlideShare. ReactorKit is a combination of Flux and Reactive Programming. The user actions and the view states are delivered to each layer via observable streams. These streams are unidirectional: the view can only emit actions and the reactor can only emit states. Testability: The first purpose of ReactorKit is to separate the business logic from a view. This can make the code testable. A reactor doesn't have any dependency to a view. Just test reactors and test view bindings. See Testing section for details. Start Small: ReactorKit doesn't require the whole application to follow a single architecture. ReactorKit can be adopted partially, for one or more specific views. You don't need to rewrite everything to use ReactorKit on your existing project. Less Typing: ReactorKit focuses on avoiding complicated code for a simple thing. ReactorKit requires less code compared to other architectures. Start simple and scale up. A View displays data. A view controller and a cell are treated as a view. The view binds user inputs to the action stream and binds the view states to each UI component. There's no business logic in a view layer. A view just defines how to map the action stream and the state stream. To define a view, just have an existing class conform a protocol named View. Then your class will have a property named reactor automatically. This property is typically set outside of the view. When the reactor property has changed, bind(reactor:) gets called. Implement this method to define the bindings of an action stream and a state stream. Use StoryboardView protocol if you're using a storyboard to initialize view controllers. Everything is same but the only difference is that the StoryboardView performs a binding after the view is loaded. A Reactor is an UI-independent layer which manages the state of a view. The foremost role of a reactor is to separate control flow from a view. Every view has its corresponding reactor and delegates all logic to its reactor. A reactor has no dependency to a view, so it can be easily tested. Conform to the Reactor protocol to define a reactor. This protocol requires three types to be defined: Action, Mutation and State. It also requires a property named initialState. An Action represents a user interaction and State represents a view state. Mutation is a bridge between Action and State. A reactor converts the action stream to the state stream in two steps: mutate() and reduce(). mutate() receives an Action and generates an Observable<Mutation>. Every side effect, such as an async operation or API call, is performed in this method. reduce() generates a new State from a previous State and a Mutation. This method is a pure function. It should just return a new State synchronously. Don't perform any side effects in this function. Implement these methods to transform and combine with other observable streams. For example, transform(mutation:) is the best place for combining a global event stream to a mutation stream. See the Global States section for details. Unlike Redux, ReactorKit doesn't define a global app state. It means that you can use anything to manage a global state. You can use a BehaviorSubject, a PublishSubject or even a reactor. ReactorKit doesn't force to have a global state so you can use ReactorKit in a specific feature in your application. Then the mutation will be emitted each time the view sends an action to a reactor and the currentUser is changed. You must be familiar with callback closures or delegate patterns for communicating between multiple views. ReactorKit recommends you to use reactive extensions for it. The most common example of ControlEvent is UIButton.rx.tap. The key concept is to treat your custom views as UIButton or UILabel. ReactorKit has a built-in functionality for a testing. You'll be able to easily test both a view and a reactor with a following instruction. First of all, you have to decide what to test. There are two things to test: a view and a reactor. 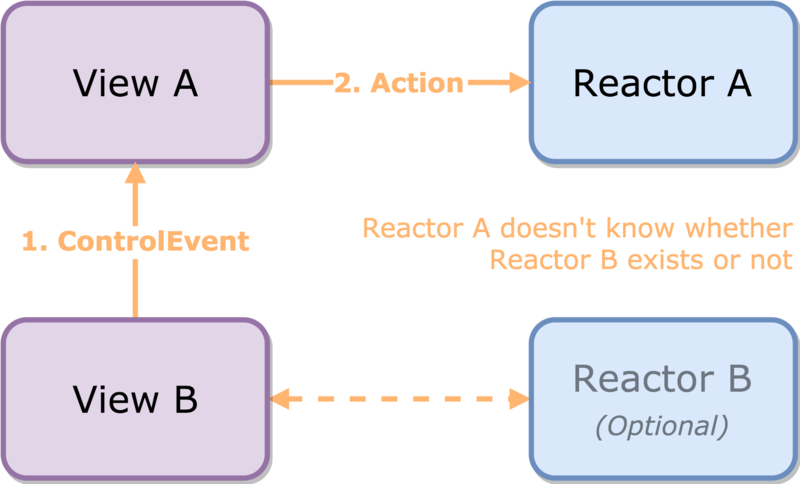 Action: is a proper action sent to a reactor with a given user interaction? State: is a view property set properly with a following state? State: is a state changed properly with an action? A reactor can be tested independently. ReactorKit officially supports CocoaPods only. ReactorKit does not officially support Carthage. Are you using ReactorKit? Please let me know! Change the repository name to ReactorKit. Change the architecture name from RxMVVM to The Reactive Architecture. Every ViewModels are renamed to ViewReactors. 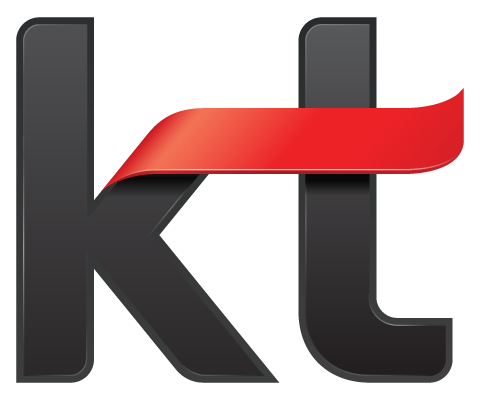 ReactorKit is under MIT license. See the LICENSE for more info.